Get Kids Cooking have taught over 95,000 Australian school aged children to cook! How? 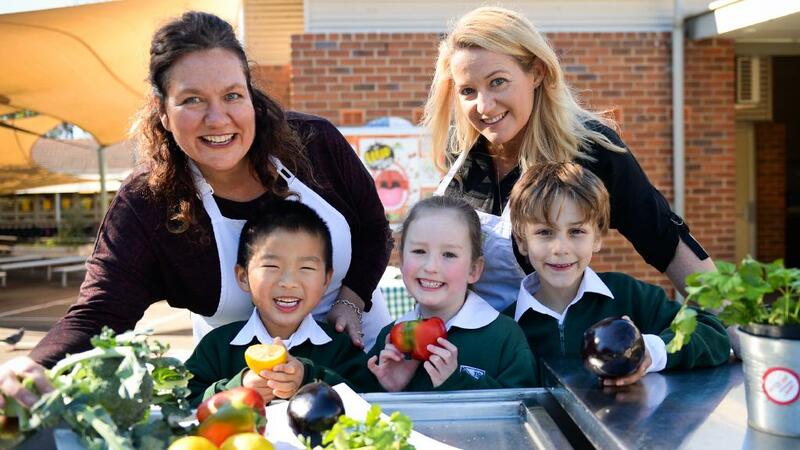 Using our innovative portable teacher kitchen, The Kitchen Kart™ – as seen on Shark Tank Australia. 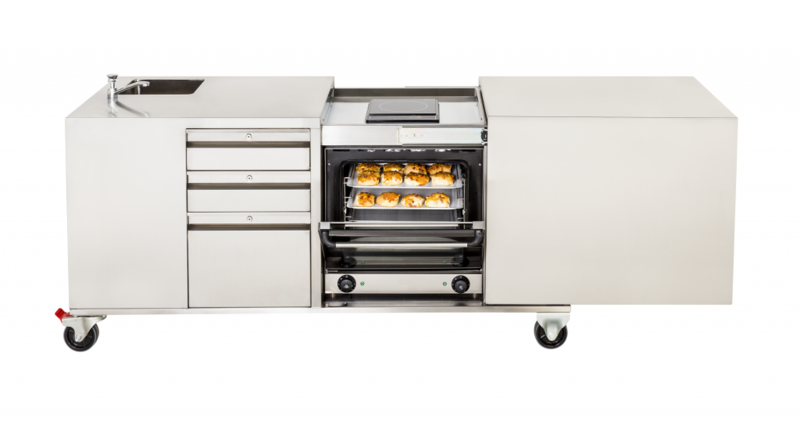 The Kitchen Kart is an innovative, compact mobile teaching kitchen that comes complete with oven, stovetop and even a kitchen sink! Equipped with all the cooking tools and equipment to run lessons, The Kitchen Kart makes it easy for teachers to deliver cooking classes in a hall, covered area, class or staff room – even wheeled out to cook near the school garden. With options to buy, lease or rent The Kitchen Kart, contact us today for a customised quote for your school, or CLICK HERE to look at a great, healthy way for your P&C to fundraise for The Kitchen Kart. Teaching children the basics of cooking is a great way to broaden their knowledge of nutritious food and nutrition in a practical way. 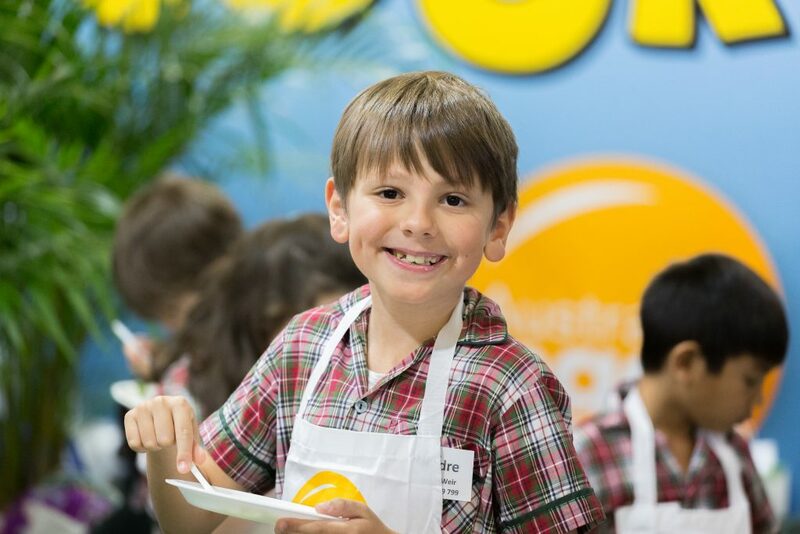 Eating patterns that begin in childhood affect health and wellbeing throughout life, so early education is an important step in starting children with a positive relationship with food, and this begins with cooking classes in primary school. Introducing “Cook In A Box” by Get Kids Cooking. Cook In A Box is an affordable way for primary schools teachers to run hands on cooking classes at their school. Starting from as little as $3 per student, per lesson. Our Cook In A Box lessons are suitable for all years and stages with lessons across most subjects linking to Australian National Curriculum. Cook In A Box has been designed especially for Primary School teachers, taking away the obstacles to run a hands on, fun and educational cooking class at school – everything is delivered, including the ingredients, to you at school with NO shopping required. Our program makes compliments existing kitchen garden programs at school. Order Cook In A Box today!